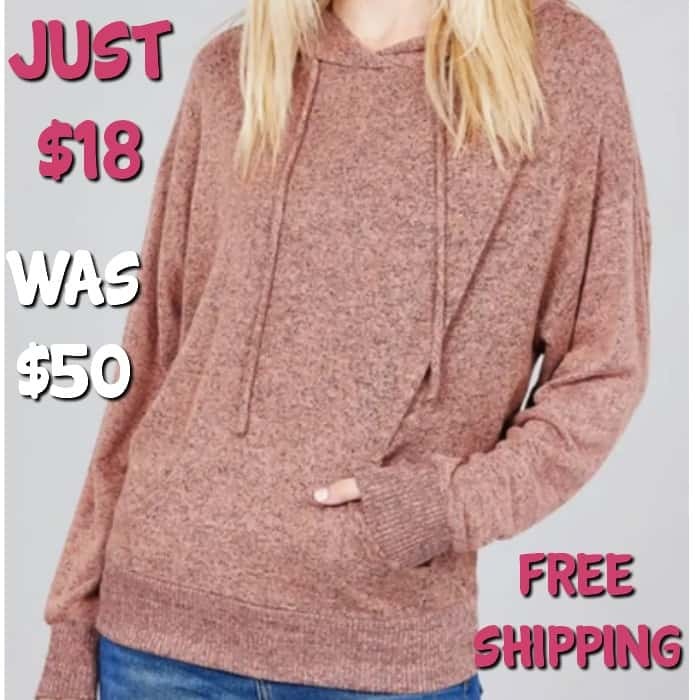 Ultra Soft Hoodie Just $18! Down From $50! PLUS FREE Shipping! You are here: Home / Great Deals / Ultra Soft Hoodie Just $18! Down From $50! PLUS FREE Shipping! Head over to Jane to get this Hoodie! Get this Ultra Soft Hoodie for just $17.99, down from $49.99, plus FREE shipping! You’ve never seen a hoodie quite like this! This Ultra Soft Hoodie is complete with ultra-soft hand feel and finished with kangaroo pockets on a two-tone Hacci fabric. Perfect with a cute pair of skinny jeans and loafers. Comes in amazing fall colors. Made with 75% Rayon, 20% Polyester, and 5% Spandex.